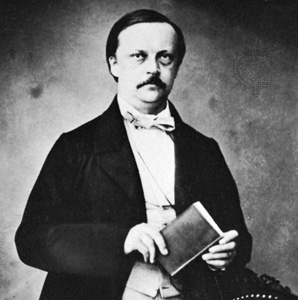 Today is the birthday (1821) of Hermann Ludwig Ferdinand von Helmholtz a Prussian physician and physicist who made significant contributions to several widely varied areas of modern science. In physiology and psychology, he is known for his mathematics of the eye, theories of vision, ideas on the visual perception of space, color vision research, and on the sensation of tone, perception of sound, and empiricism. In physics, he is known for his theories on the conservation of energy, work in electrodynamics, chemical thermodynamics, and on a mechanical foundation of thermodynamics. As a philosopher, he is known for his philosophy of science, ideas on the relation between the laws of perception and the laws of nature, the science of aesthetics, and ideas on the civilizing power of science. Some of his ideas are a bit spaced out and are not widely supported, or even known, any more. But there’s no question that Helmholtz had a fertile mind. Helmholtz’ father, Ferdinand, had been in the Prussian army fighting against Napoleon, but, despite an excellent university education he preferred to teach in a secondary school in Potsdam, which left the family struggling financially. Ferdinand was an artistic man and under his influence Hermann grew up to have a strong love of music and painting, which he then put to use in his contemplation of the unity of a number of investigations, especially physics and aesthetics. It’s in this area that I most know his work. Hermann attended Potsdam Gymnasium where his father taught philology and classical literature. His interests at school were mainly in physics and he would have liked to have studied that subject at university. But the financial position of the family, however, meant that he could not go to university unless he received a scholarship. Financial support of this kind was not available for physics so his father persuaded him to study medicine which was supported by the government. 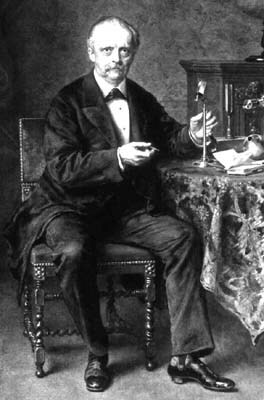 In 1837 Helmholtz was awarded a government grant to enable him to study medicine at the Royal Friedrich-Wilhelm Institute of Medicine and Surgery in Berlin. He did not receive the money without strings attached, however, and he had to sign a document promising to work for ten years as a doctor in the Prussian army after graduating. In 1838 he began his studies in Berlin. Although he was officially studying at the Institute of Medicine and Surgery, being in Berlin he had the opportunity of attending courses at the University. He took this chance, attending lectures in chemistry and physiology. Given Helmholtz’s contributions to mathematics later in his career it would be reasonable to have expected him to have taken mathematics courses at the University of Berlin at this time. However he did not, rather he studied mathematics on his own, reading works by Laplace, Biot and Daniel Bernoulli. He also read philosophy works at this time, particularly the works of Kant. His research career began in 1841 when he began work on his dissertation. He rejected the direction which physiology had been taking which had been based on “vital forces” which were not physical in nature. Helmholtz strongly argued for founding physiology completely on the principles of physics and chemistry, and ultimately this approach led to his contemporary fame. Helmholtz graduated from the Medical Institute in Berlin in 1843 and was assigned to a military regiment at Potsdam, but spent all his spare time doing research. His work concentrated on showing that muscle force was derived from chemical and physical principles. If some “vital force” were present, he argued, then perpetual motion would become possible. In 1847 he published his ideas in his paper “Über die Erhaltung der Kraft” which laid down the mathematical principles behind the conservation of energy. … endeavours to ascertain the unknown causes of processes from their visible effects; it seeks to comprehend them according to the laws of causality. … Theoretical natural science must, therefore, if it is not to rest content with a partial view of the nature of things, take a position in harmony with the present conception of the nature of simple forces and the consequences of this conception. Its task will be completed when the reduction of phenomena to simple forces is completed, and when it can at the same time be proved that the reduction given is the only one possible which the phenomena will permit. He then showed that the hypothesis that work could not be continually produced out of nothing inevitably led to the principle of the conservation of kinetic energy. This principle he then applied to a variety of different situations. He demonstrated that in various situations where energy appears to be lost, it is, in fact, converted into heat energy. This happens in collisions, expanding gases, muscle contraction, electrostatics, galvanic phenomena and electrodynamics. The paper was quickly viewed as an important contribution and played a major role in Helmholtz’ career. The following year he was released from his obligation to serve as an army doctor so that he could accept the vacant chair of physiology at Königsberg. His career progressed rapidly in Königsberg. He published important work on physiological optics and physiological acoustics. 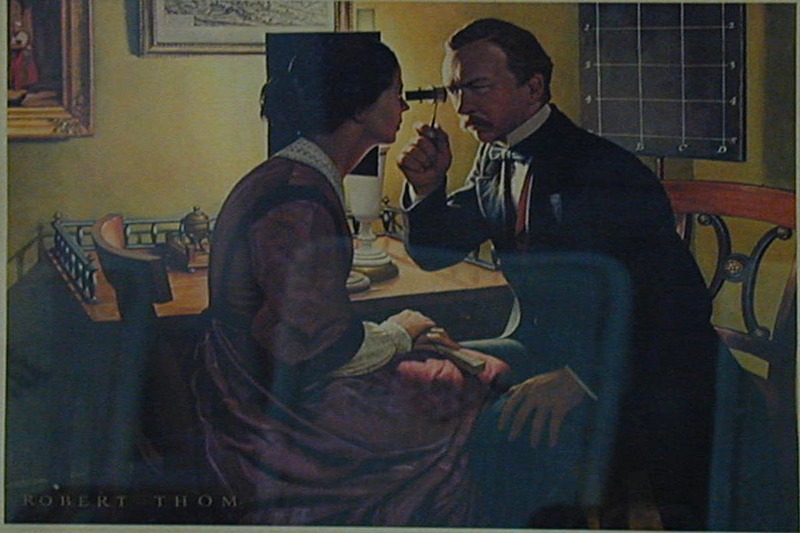 He received great acclaim for his invention of the ophthalmoscope in 1851 and rapidly gained a strong international reputation. In 1855 he was appointed to the vacant chair of anatomy and physiology in Bonn, but because his approach to physiology as a matter of physics and chemistry and not “magic,” he got a lot of complaints from traditionalist students, and wound up at Heidelberg University in 1858 where they promised to set up a new physiology institute for him. Some of his most important work was carried out while he held this post in Heidelberg. He studied mathematical physics and acoustics producing a major study in 1862 which looked at musical theory and the perception of sound. In mathematical appendices he advocated the use of Fourier series. In 1843 Ohm had stated the fundamental principle of physiological acoustics, concerned with the way in which one hears combination tones. Helmholtz explained the origin of music on the basis of his fundamental physiological hypotheses. He formulated a resonance theory of hearing which provided a physiological explanation of Ohm’s principle. He also explained why you get a note when you blow across the neck of a bottle, and why the note changes depending on how much liquid is in the bottle. Technically this is called a Helmholtz resonator. 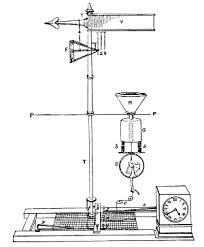 From around 1866 Helmholtz began to move away from physiology and move more towards physics. When the chair of physics in Berlin became vacant in 1870 he indicated his interest in the position and in 1871 he took up this post. He had begun to investigate the properties of non-Euclidean space around the time his interests were turning towards physics in 1867. This led Helmholtz to question the adequacy of Euclidean geometry to describe the physical world, and, in general, broadened his thinking into the realms of philosophy. There’s more but I’ll stop. I’ve probably already caused a few glassy eyes. On the one hand, Helmholtz revolutionized many scientific fields because he was a true polymath at a time when scientific fields were becoming narrower and narrower in their focus. Many would do well to follow his lead, but this is virtually impossible in today’s highly professionalized and specialized world. Occasionally these days physicists stumble on ancient Chinese philosophy and the like, and you get a bit of playful synthesis. But it does not to amount to anything of any importance. A person of Helmholtz’ stature might do better nowadays, but with so much technical matter to cover this may be impossible. Pity. Helmholtz was driving down a path to show that the natural science of the physical would eventually explain EVERYTHING from the motion of objects to the aesthetic appreciation of color and sound. Good luck with that. The science of the 19th century is simply not up to the task; nor that of the 21st century in my oh so humble opinion. I believe we need a new paradigm, which I doubt will be forthcoming in my lifetime. I will give Helmholtz A++ for effort though (generous of me, I know). Potsdam, Helmholtz’ birthplace, was the capital of Prussia, but ceded its central place to neighboring Berlin when Germany was unified in Helmholtz’ lifetime, although Potsdam remained the residence of the Kaisers until 1918. As with other manufactured nations, we can speak of German cuisine as a whole, which notion has some merit, but also blurs over regional distinctions. The fact is, though, that certain dishes are universal, and the potato, which was popularized by Frederick the Great of Prussia dominates to this day. So, I suggest German potato pancakes, Kartoffelpuffer, which are widespread in German cuisine. I’ve never used a recipe, but I’ll give you one for completeness. The main issue is that the potatoes are grated raw, so you need the right quantity of egg and flour to bind the potatoes together, otherwise they will fall apart when cooked. Trust me – I know this. 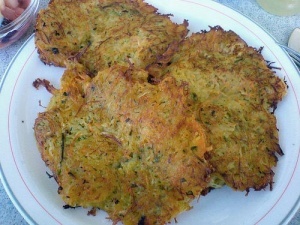 In Prussia they are served as a side dish with meat or with applesauce as a sweet dish. Drain all excess moisture from the potatoes but do not squeeze them dry. This will ruin the taste. Mix the potatoes, onion, and egg together in a bowl, and add salt and pepper to taste. Add enough flour, a little at a time, to absorb any excess moisture in the potatoes. Divide the mixture into 8 and shape each portion into flat, round patties. Place the patties individually on trays, and let them rest in the refrigerator for at least 30-45 minutes. Heat the oil in a frying pan over medium heat and cook the kartoffelpuffer in small batches, flipping once so that they are golden brown on both sides and cooked through. This part takes some practice. Don’t be tempted to cook them too quickly, or they will not cook all the way through. Today is the birthday (1632) of Sir Christopher Michael Wren PRS, one of the most highly acclaimed English architects in history. 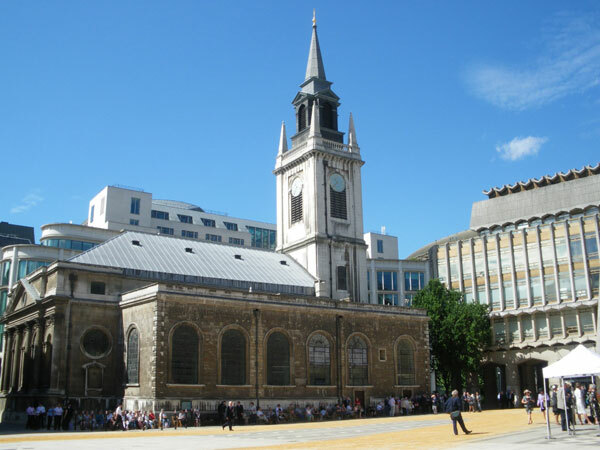 He was accorded responsibility for rebuilding 52 churches in the City of London after the Great Fire in 1666, including his masterpiece, St. Paul’s Cathedral, on Ludgate Hill in London, completed in 1710 (see http://www.bookofdaystales.com/great-fire-of-london/ ). 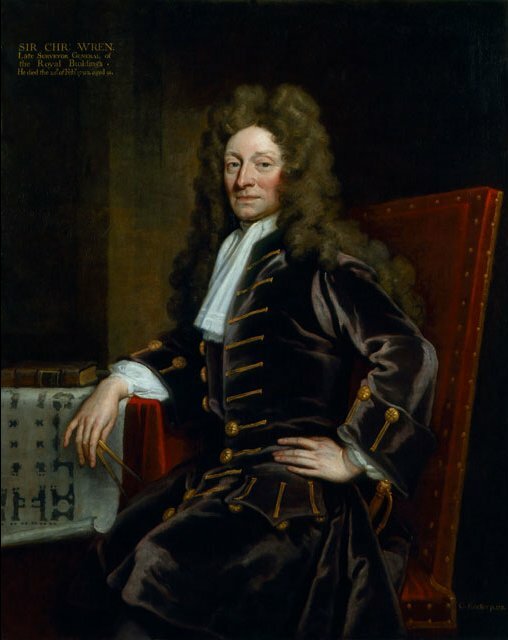 What many people do not realize is that Wren was a notable anatomist, astronomer, geometer, and mathematician-physicist, as well as an architect, and was instrumental in founding the Royal Society, the prime scientific society in Britain to this day. His scientific work was highly regarded by Isaac Newton and Blaise Pascal. Here’s a small gallery of Wren’s major architectural works just so that I do not ignore that aspect of his life completely. Having received his M.A. in 1653, Wren was elected a fellow of All Souls College in the same year and began an active period of research and experiment in Oxford. His days as a fellow of All Souls ended when he was appointed Professor of Astronomy at Gresham College in London in 1657. He was provided with a set of rooms and a stipend and was required to give weekly lectures in both Latin and English to all who wished to attend; admission was free. Wren took up this new work with enthusiasm. 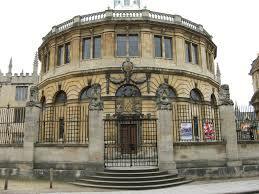 He continued to meet the men with whom he had frequent discussions in Oxford. They attended his London lectures and in 1660, initiated formal weekly meetings. It was from these meetings that the Royal Society, England’s premier scientific body, was to develop. He undoubtedly played a major role in these meetings; his great breadth of expertise in so many different subjects helping in the exchange of ideas between the various scientists. In 1662, they proposed a society “for the promotion of Physico-Mathematicall Experimental Learning.” This body received its Royal Charter from Charles II and “The Royal Society of London for Improving Natural Knowledge” was formed. In addition to being a founder member of the Society, Wren was president of the Royal Society from 1680 to 1682. In 1661, Wren was elected Savilian Professor of Astronomy at Oxford, and in 1669 he was appointed Surveyor of Works to Charles II. From 1661 until 1668 Wren’s life was based in Oxford, although his attendance at meetings of the Royal Society meant that he had to make occasional trips to London. 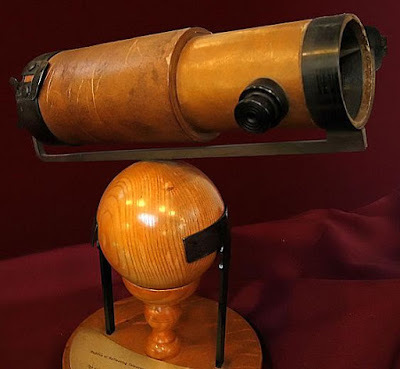 When a fellow of All Souls, Wren constructed a transparent beehive for scientific observation; he began observing the moon, which was to lead to the invention of micrometers for the telescope. He experimented on terrestrial magnetism and had taken part in medical experiments while at Wadham College, performing the first successful injection of a substance into the bloodstream (of a dog). In Gresham College, he did experiments involving determining longitude through magnetic variation and through lunar observation to help with navigation, and helped construct a 35-foot (11 m) telescope with Sir Paul Neile. Wren also studied and improved the microscope and telescope at this time. He had been making observations of the planet Saturn from around 1652 with the aim of explaining its appearance. His hypothesis was written up in De corpore saturni but before the work was published, Huygens presented his theory of the rings of Saturn. Immediately Wren recognized this as a better hypothesis than his own and De corpore saturni was never published. In addition, he constructed an exquisitely detailed lunar model and presented it to the king. Also his contribution to mathematics should be noted; in 1658, he found the length of an arc of the cycloid using an exhaustion proof based on dissections to reduce the problem to summing segments of chords of a circle which are in geometric progression. A year into Wren’s appointment as a Savilian Professor in Oxford, the Royal Society was created and Wren became an active member. As Savilian Professor, Wren studied mechanics thoroughly, especially elastic collisions and pendulum motions. He also directed his far-ranging intelligence to the study of meteorology: in 1662 he invented the tipping bucket rain gauge and, in 1663, designed a “weather-clock” that would record temperature, humidity, rainfall and barometric pressure. 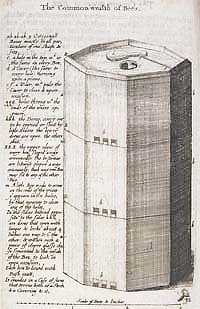 A working weather clock based on Wren’s design was completed by Robert Hooke in 1679. In addition, Wren experimented on muscle functionality, hypothesizing that the swelling and shrinking of muscles might proceed from a fermentative motion arising from the mixture of two heterogeneous fluids. Although this is incorrect, it was at least founded upon observation and may mark a new outlook on medicine: specialization. Wren contributed to optics. He published a description of an engine to create perspective drawings and he discussed the grinding of conical lenses and mirrors. 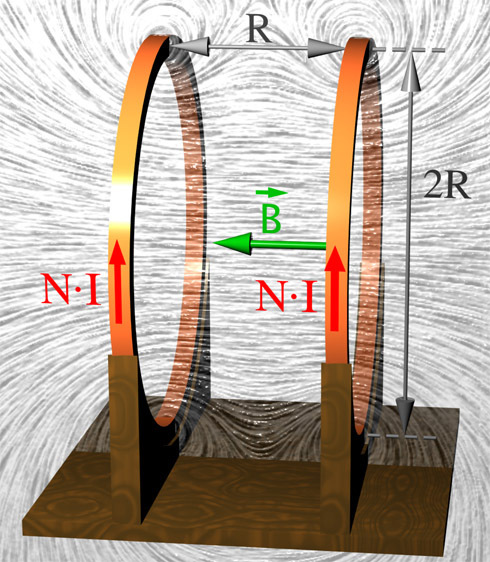 Out of this work came another of Wren’s important mathematical results, namely that the hyperboloid of revolution is a ruled surface. These results were published in 1669. In subsequent years, Wren continued with his work with the Royal Society, although after the 1680s his scientific interests seem to have waned: no doubt his architectural and official duties absorbed more time. It was a problem posed by Wren that serves as an ultimate source to the conception of Newton’s Principia Mathematica Philosophiae Naturalis. Robert Hooke had theorized that planets, moving in a vacuum, describe orbits around the Sun because of a rectilinear inertial motion outward from the Sun and an accelerated motion towards the Sun. 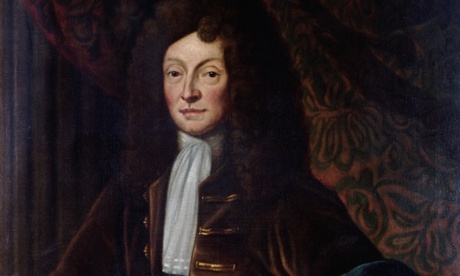 Wren’s challenge to Halley and Hooke, for the reward of a book worth thirty shillings, was to provide, within the context of Hooke’s hypothesis, a mathematical theory linking the Kepler’s laws with a specific force law. Halley took the problem to Newton for advice, prompting the latter to write a nine-page answer, De motu corporum in gyrum, which was later to be expanded into the Principia. Wren also studied other areas, ranging from agriculture, ballistics, water and freezing, light and refraction, to name only a few. Thomas Birch’s History of the Royal Society is one of the most important sources of our knowledge not only of the origins of the Society, but also the day to day running of the Society. It is in these records that most of Wren’s known scientific works are recorded. 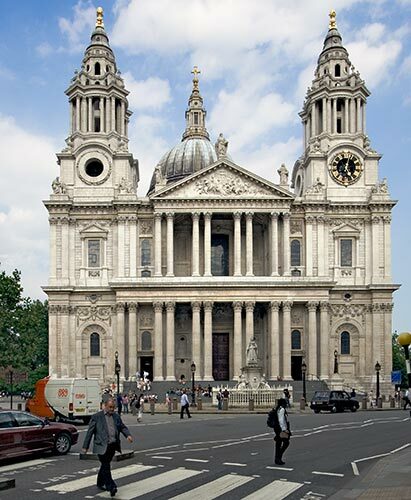 It was probably around this time that Wren was drawn into redesigning a battered St Paul’s Cathedral. Making a trip to Paris in 1665, Wren studied the architecture, which had reached a climax of creativity, and perused the drawings of Bernini, the great Italian sculptor and architect, who himself was visiting Paris at the time. Returning from Paris, he made his first design for St Paul’s. A week later, however, the Great Fire destroyed two-thirds of the city. Additionally, he was sufficiently active in public affairs to be returned as Member of Parliament for Old Windsor in 1680, 1689 and 1690, but did not take his seat. This brief marriage produced two children: Gilbert, born October 1672, who suffered from convulsions and died at about 18 months old, and Christopher, born February 1675. The younger Christopher was trained by his father to be an architect. It was this Christopher that supervised the topping out ceremony of St Paul’s in 1710 and wrote the famous Parentalia, or, Memoirs of the family of the Wrens. Faith Wren died of smallpox on 3 September 1675. 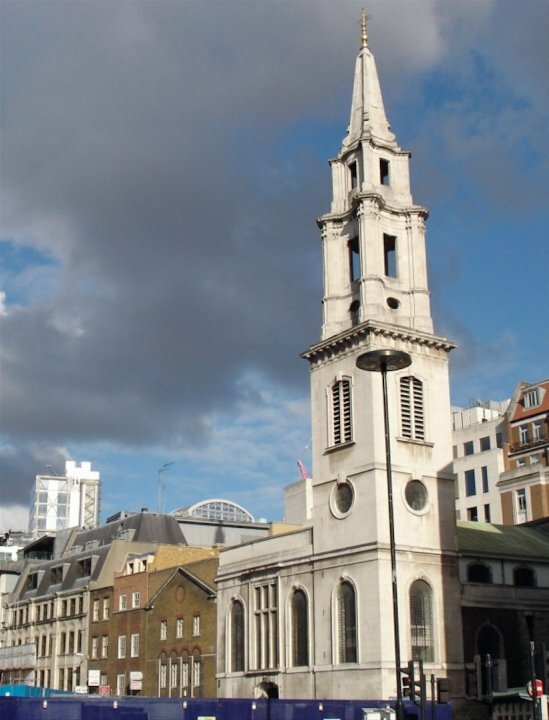 She was buried in the chancel of St Martin-in-the-Fields beside the infant Gilbert. A few days later Wren’s mother-in-law, Lady Coghill, arrived to take the infant Christopher back with her to Oxfordshire to raise. In 1677, 17 months after the death of his first wife, Wren married once again. He married Jane Fitzwilliam, daughter of William FitzWilliam, 2nd baron FitzWilliam and his wife Jane Perry, the daughter of a prosperous London merchant. She was a mystery to Wren’s friends and companions. 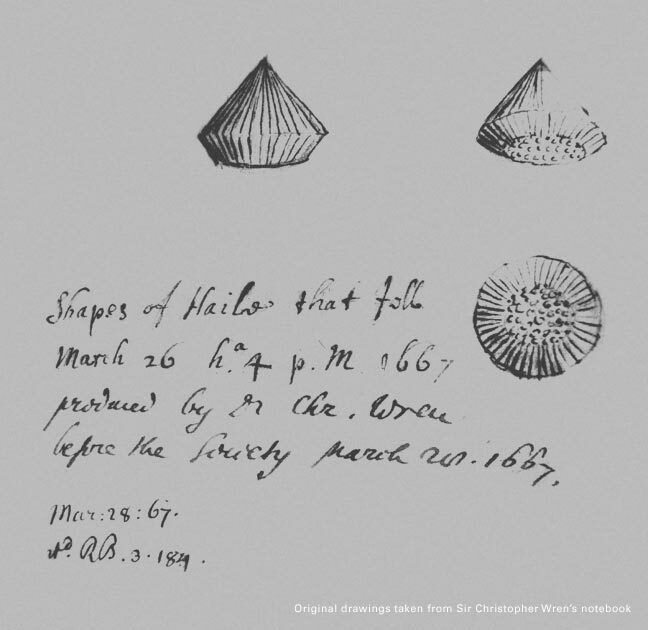 Robert Hooke, who often saw Wren two or three times every week, had, as he recorded in his diary, never even heard of her, and was not to meet her till six weeks after the marriage. As with the first marriage, this too produced two children: a daughter Jane (1677–1702); and a son William, “Poor Billy” born June 1679, who was developmentally delayed. Like the first, this second marriage was also brief. Jane Wren died of tuberculosis in September 1680. 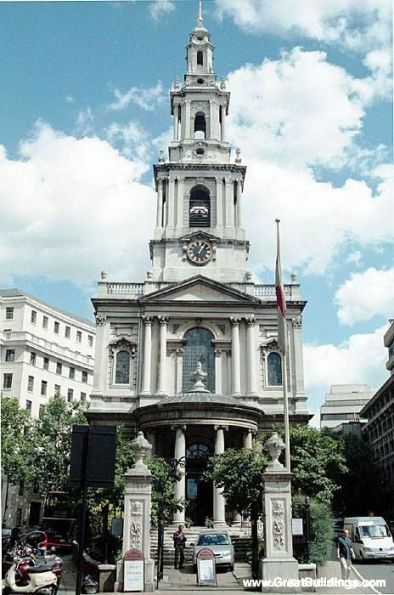 She was buried alongside Faith and Gilbert in the chancel of St Martin-in-the-Fields. Wren was never to marry again; he lived to be over 90 years old and of those years was married only nine. The Wren family estate was at The Old Court House in the area of Hampton Court. 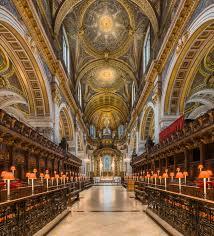 He had been given a lease on the property by Queen Anne in lieu of salary arrears for building St Paul’s. For convenience Wren also leased a house on St James’s Street in London. According to a 19th-century legend, he would often go to London to pay unofficial visits to St Paul’s, to check on the progress of “my greatest work”. On one of these trips to London, at the age of ninety, he caught a chill which worsened over the next few days. On 25 February 1723 a servant who tried to awaken Wren from his nap found that he had died. SUBTUS CONDITUR HUIUS ECCLESIÆ ET VRBIS CONDITOR CHRISTOPHORUS WREN, QUI VIXIT ANNOS ULTRA NONAGINTA, NON SIBI SED BONO PUBLICO. LECTOR SI MONUMENTUM REQUIRIS CIRCUMSPICE Obijt XXV Feb: An°: MDCCXXIII Æt: XCI. Here in its foundations lies the architect of this church and city, Christopher Wren, who lived beyond ninety years, not for his own profit but for the public good. Reader, if you seek his monument – look around you. Died 25 Feb. 1723, age 91. The recipes range wide over the repertoire of the seventeenth-century household; from liver puddings to excellent syllabubs. They include items picked up on his travels in Europe, as well as favorites given him by friends, including that for gooseberry wine contributed by Sir Christopher Wren. Living in southern China does not make it exactly easy for me to get hold of this book, so I have had to compromise. Go here and you will find an excellent recipe .http://www.theguardian.com/lifeandstyle/allotment/2011/jun/09/allotments-gardens It is more complex than Wren’s, I have no doubt, but fruit wines are all made in basically the same way: mash up the fruit, boil it, when cooled add yeast and sugar, let ferment, strain and bottle. Worth a shot.